Big Oil Surprises Analysts, Is The Worst Behind Us? Once again its earnings season and the first quarter is likely to be one of the most closely watched in a long time since it encompasses a period of time in which oil prices were at their lowest. WTI and Brent dropped below $30 per barrel in January and February, hitting their lowest levels in more than a decade. The oil industry had posted a sea of red ink in prior quarters, but the first three months of 2016 had the ingredients to be much more painful. So far, the results have been a mixed bag, with several companies doing better than expected. BP reported an 80 percent decline in earnings, a staggering fall in revenue from a year ago. The British oil giant posted a $2.6 billion profit in the first quarter of last year, but only a net profit of $532 million in 1Q2016. Worse, that excludes charges related to the Macondo well blowout in 2010, which forced the company to take another $917 million in pre-tax charges in the first quarter. When including those charges, BP’s result flips to a quarterly loss of about $485 million. Related: Has the Oil Price Rally Gone Too Far? But BP also performed much better than market analysts had anticipated. Investors agreed – BP’s stock shot up by more than 5 percent on the news. Also, shareholders are hoping the worst is over. Oil prices are starting to rise, and BP won approval from a court in March to settle all outstanding federal and state claims related to the 2010 disaster. French oil company Total also exceeded expectations, posting a $1.64 billion profit for the first quarter, although that figure was down by 37 percent from 1Q2015. Analysts expected a profit of just $1.25 billion. 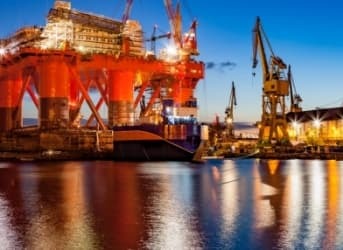 The result stems from the fact that Total’s upstream unit “benefited from the lowest technical costs among the majors,” the company’s CEO Patrick Pouyanne said in a statement. Total says that it produced oil with costs at $23 per barrel last year, whereas its rivals spent between $26 and $44 per barrel. Total also managed to raise oil and gas production to a record high of 2.48 million barrels of oil equivalent per day. Total expects to trim another $2.4 billion from its spending plans this year relative to 2014 levels, and also raise $4 billion in asset sales. There was a similar trend that emerged from the group: the quarterly performances would have been much worse if not for downstream earnings. Refining has been much more stable during the oil price downturn, as higher margins offset the losses from exploration and production. Earnings from Total’s refining and chemicals division were up “thanks to a record-high utilization rate of 94 percent and favorable petrochemicals margins,” Pouyanne said. The oil majors are extremely large, integrated companies that rely very heavily on refining. Smaller upstream-only companies, particularly in the U.S. shale patch, do not have this security, which is why many of them are faring much worse these days. Related: Can Oil Continue To Rally Like This? Still, there are serious questions regarding the oil majors’ ability to keep up high dividend payouts, which executives have fiercely protected even while taking savage cuts to spending. But all of them insist that there are no plans at this point to touch the dividend policies. Total says that at $60 per barrel, the company can generate enough cash flow to fully fund the dividend through 2017 without needing to take on debt to do so. Exxon, Chevron, and Eni will announce on April 29 while Shell will announce on May 4. Oh indeed. Watch as the sickening, greedy speculators foam at the mouth in hopes oil will once again rise to out of control prices; out of control in the sense it brings the economy near disaster. Yes, it's ok for oil to be up where prices at the pump bring excruciating pain to those who pay with nought they can do. And if we're paying over a dollar now in Canada with crude roughly 40 plus per barrel, what will we be paying if it nears or passes one hundred dollars per barrel? But what matters as long as long as oil companies and investors can get it as high as possible and their pockets are filled. Reading articles like this portray the greed, the sinisterism involved in the minds of some. This much at least some of us know, that coveteousness cannot be satisfied. Just more big oil BS. Oil will never be high enough for the greedy bastards. As long as they control the market, the depression economy is good enough for them. Screw the people. The masses don't need to have any money, only the robber barrons need money. Fuel economy is rising and big oils greed has started an alternative energy revolution. Oil is about to start losing business. There is more oil than can be stored and slightly higher prices means the frakers will be picking up the pace again. Big oil is as corrupt as the government and hands our bribes like candy at halloween. Oil isn't going away, but it is beginning to realize it's importance is waning. Big oil is the only organization whose greed is driving it's own demise. Yes just more really wealthy people getting paid and getting greedy and taking peoples money at the pumps. how dare they not think of you guys when selling something. Did you know over the past 10 years wages have not met inflation in the economy, food has soared in price as well as technology, little by little, right under your noses and no one bats an eye. just remember quarter of a million people are out of work due to the crash in oil. That means the high dollar paid oil workers are not paying into the economy or tax to that matter, to your dirty corrupt money taking government. i'm guessing the 2 of you just didn't think about that now did you. big oil didn't start the economic mess E cars and renewable energy did along with foreign affairs due to the USA and Saudi Arabia trying to financially ruin Russia and Iran. Supply over demand. if you don't like the price of oil at the pumps by an E car and no doubt the two of you will be complaining about the price of electric soon enough.